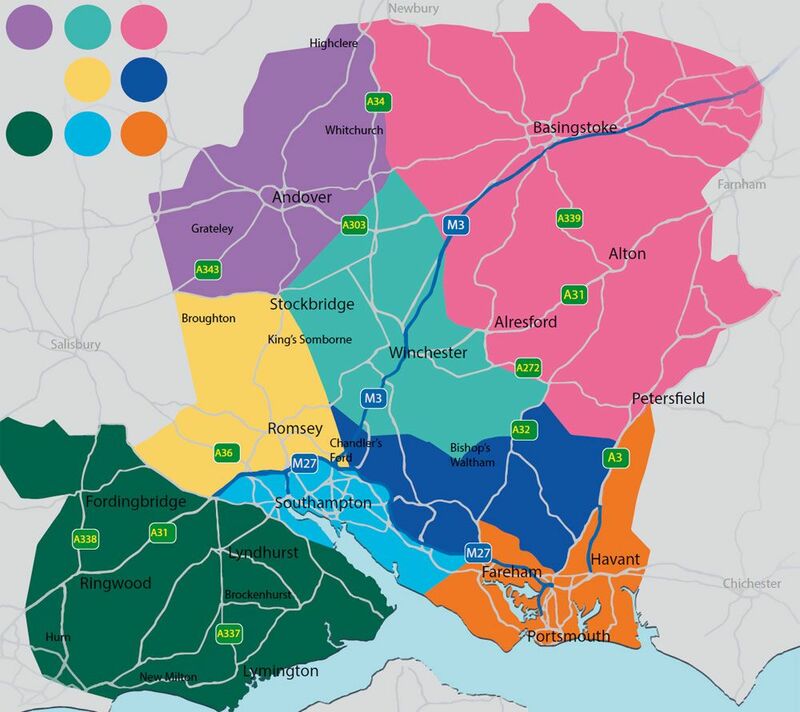 Again this year we divided Hampshire up into 8 areas, (colour coded) I hope that this will help you navigate around the various venues. Each area will have the venues grouped together as accurately as possible. We have done our best to be accurate but in rural areas this is quite difficult so remember the map is ONLY a guide. Look out for pink directional arrows most venues will have them.